Under increasing international pressure, President Vladimir Putin on Monday again called for a full investigation into the downing of Malaysia Airlines Flight 17, calling on all parties to stop pointing fingers and stop "politicizing" this tragedy, CBS News correspondent Clarissa Ward reported from Moscow. Putin is trying to cast himself in the role of the rational, reasonable leader, Ward reported, but so far, there have been no indications that the Kremlin has done anything to pressure those rebels into allowing the investigators in and giving them free and unfettered access to the crash site. On Monday, President Obama said the burden is on Russia and Putin to compel the separatists to cooperate with the investigation. Obama said that if Russia continues to violate Ukraine's sovereignty, Moscow "will only further isolate itself" and the economic costs will continue to increase. "President Putin says that he supports a full and fair investigation and I appreciate those words but they have to be supported by actions," Mr. Obama said. Putin said Russia was doing everything possible to allow a team of experts from the International Civil Aviation Organization, a U.N. agency, to investigate the scene. He again criticized Ukrainian government authorities in Kiev for reigniting the fighting with the rebels. 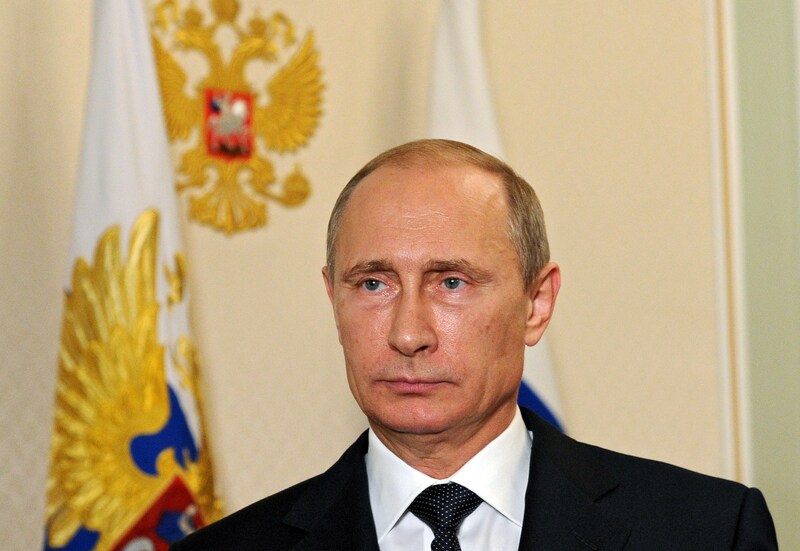 "If fighting in eastern Ukraine had not been renewed on June 28, this tragedy would not have happened," Putin said. "Nobody should or does have a right to use this tragedy for such mercenary objectives." Australian Prime Minister Tony Abbott, whose country lost 28 citizens in the tragedy, said Putin "said all the right things" during their telephone conversation about ensuring an international investigation into the disaster. "I'm now going to try to ensure that as far as Australia humanly can, we insist upon these things happening," Abbott told Sydney Radio 2GB on Monday. Pressure has been growing on Putin - who the U.S. and others say has backed and armed the rebels - to rein in the insurgents and allow a full-scale investigation into the downing of the plane. Russia has denied backing the separatists. The extent of Putin's influence over the pro-Russian rebels in the region is unclear. However, on Monday, Mr. Obama said that "Russia has extraordinary influence over" the separatists. The United States has presented what it called "powerful" evidence that the rebels shot down the Boeing 777 with a Russian surface-to-air missile. That evidence included video of a rocket launcher, one surface-to-air missile missing, leaving the likely launch site; imagery showing the firing; phone calls claiming credit for the strike and phone recordings said to reveal a cover-up at the crash site. "A buildup of extraordinary circumstantial evidence ... it's powerful here," said U.S. Secretary of State John Kerry. "Russia is supporting these separatists. Russia is arming these separatists. Russia is training these separatists." The leaders of Britain, France, Germany and Australia also spoke to Putin by phone late Sunday. European foreign ministers are also meeting in Brussels Tuesday to consider further sanctions on Russia. Malaysia Airlines Flight 17: What is Russia's responsibility? Although Russian officials have publicly dismissed Western sanctions imposed on those alleged to be supporting or directing the rebels, the measures are having enough effect that Moscow is leery of provoking more. Dutch Prime Minister Mark Rutte said he has made it "crystal clear" to Putin that he must use his influence with rebels to ensure unhindered access to the crash scene for international investigators. He said sanctions could be slapped on "those directly or indirectly responsible" for hindering the probe. The U.N. Security Council will vote Monday on an Australia-proposed resolution demanding international access to the Ukraine plane crash site and a cease-fire around the area, with diplomats pressuring a reluctant Russia to approve it. Abbott said his country would view a Russian veto of the resolution "very badly," adding that "no reasonable person" could object to its wording. "This is still an absolutely shambolic situation. It does look more like a garden clean-up than a forensic investigation," he told reporters. "Given the almost certain culpability of the Russian-backed rebels in the downing of the aircraft, having these people in control of the site is a little like leaving criminals in control of a crime scene," Abbott added. Security Council diplomats held consultations late Sunday until past midnight to work out key differences between Australia and Russia. The diplomats emerged cautiously optimistic that a resolution would be approved, but Russian Ambassador Vitaly Churkin would not guarantee it. "It was a worthwhile session, so let's see what the result is going to be tomorrow," Churkin told reporters. Australian Foreign Minister Julie Bishop tweeted Monday morning that she would meeting with other ambassadors at U.N. headquarters ahead of the vote. Dutch Foreign Minister Frans Timmermans met with U.S. Ambassador Samantha Power also met Monday morning to discuss efforts to return the remains of the victims, Dutch Ambassador Karel van Oosterom tweeted. The resolution calls for pro-Russia separatists to allow access to the site of the downed Malaysia Airlines passenger jet carrying 298 people, including 37 Australian citizens and residents. It asks for the full cooperation of all countries in the region, including Russia. Germany's U.N. Mission tweeted Monday morning that it would join France and Lithuania in co-sponsoring it. Earlier Sunday, Churkin said Russia is concerned the draft "does not accurately reflect the need for an impartial, international investigation."